Edited by Kipshasz at 20:52, 13 Sep 2017. You voted, I deliver. Let's see how many of you will join. More than ten thousand years had passed since mankind first took it to the stars. After wars, alliances and conquest, peace was eventually established within the Milky Way galaxy. Relatively speaking. While the Galactic Federation is the de facto government unifying the major races of the galaxy, in truth it�s the megacorporations that hold the true power within it. These business entities are like nations within a nation, each with their own private armies and interests in mind. In the recent decades, more and more artefacts from an ancient civilisation were uncovered. Few of the corporations took interest in it deeply, however the acquisition of said artefacts was very restrictive by the Federation�s senate, making it nearly impossible to aquire them legally, since the trade of such artefacts was banned, and the collecting of them were given only to the Federation Exploratory Corps. So in turn, the corporations began to hire smugglers and mercenary companies to extract the artefacts for them. It was illegal to the max, but profitable, and highly coveted gig. Most of the artefacts that turned up in the hands of various corporations were various etched tablets written with an unknown language, as well as several pieces of technology as well. For a while this was run smoothly, but as is with such operations, they eventually become known to the authorities. Several of the involved corporations were destroyed, their remaining assets nationalised. The pressure from the Federation is increasing, but so is the illegal supply of alien artefacts on behalf of the mercenary expeditions. Bloodhawk Corps is one such mercenary/smuggler/scavenger group currently in the employ of the Atlas Corporation. Currently there are four contenders for the pieces of technology left behind by the ancient civilisation. But little did they know, that this petty bickering may as well lead to a war, which could mean the end of the Federation as a whole. That�s the premise at least. You get what you voted for fellas. The whole of the galaxy is pretty much under federation control. The majority of the population is living in Coruscant type city planets, but there are desert worlds, ocean worlds and what else have you. Federation � The de facto ruling body of the galaxy. Atlas Corporation � One of the most powerful corporate entities in the Federation. Main branch of business � starship construction and small arms manufacture. Atlas ships and guns are considered to be of the very best quality. The Wolfe Consortium � Headed by Gerhard Wolfe, this terran based corporation is one of the top tier supplier of small arms in the galaxy. 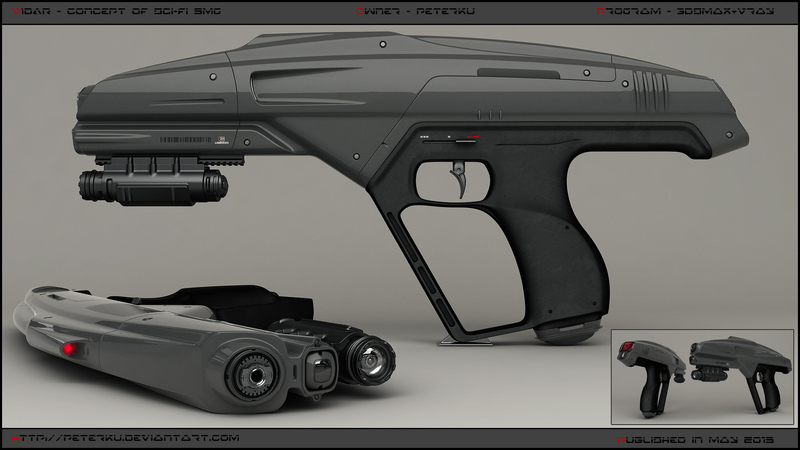 Their guns are on par with the Atlas Corp.
Ishan Corporation � a primarily Aelari corporate entity, they specialise in construction of space stations, asteroid mining operations and personal electronics. Askara Biotech � as their name implies this corporation specialises in biological matters. The Galaxy�s main supplier of medicines, bionic prosthesis and combat drugs/stim packs. There are many more corporations within the Federation, but these are the main players in acquisition of alien artefacts. Non overheating plasma bolt weapons and all the other good sci-fi jazz exists here. fully functional and ultra customisable bionics exist. Aelari � could be described as �space elves�, they are tall and fair people. They are by far the tallest of the Federaton races, with average Aelari being at least 195cm tall. Amonos � a race that originally evolved on an aquatic environment. Appearance wise are identical to the Nautolan race from Star Wars. They can breathe underwater due to them having gills as well as lungs. However, they need to wear special breathing collars while on dryer climates. Nesh � Reptilian race, highly martial and proud. Most Nesh warriors still bear their ceremonial bone swords along side their more modern gear. They look more or less like the argonians from Skyrim. Orru � The �space orcs� they share the biggest muscle mass amongst the species of the Federation, skin color rages from light brown to olive green. They appear like those anime bullcrap orcs from the MMO Lineage 2. Evolon - Another race of aquatic humanoids. Like the Amonos they do also have gills, and require special breathing collars whilst on dry climate. Appears similarly to the Protoss of Starcraft. The three races of the federation, Humans, Orru and Aelari can in fact interbreed, as their physiologies are very similar to one another. These halfbreeds are rather common in this day and age in the Federation. Maneti � A humanoid species with insectoidal features. Rather frail creatures, they most oftenly serve as bureaucrats within the Federation, and the various corporate entities. Volian � evolved on a high pressure planet, this species ventures rarely outside of their solar system. Those that do however, are confined within special pressurised suits. Likewise, off worlders traveling to Volian homeworld must equip themselves accordingly as well. Each race has an above average lifespan(most live up to 100+ years), which can be enchanced with rejuvenating treatments up to about 200 years of age. The player characters are members of the Bloodhawk Corps, a mercenary company currently on the payroll of the Atlas Corporation. Their main base of operations is the old cruiser �Black Pearl�, which despite being an old hull design, has been refurbished with modern, top tier equipment. The ship itself is well armed and armored, and has living quarters for a large crew more than sufficient cargo space, as well as a hangar for smaller vessels, like dropships,shuttles and personal small spacecraft of the crewmembers. Appearance: Rather tall, about 187cm, has long black hair (tied into a braid), and sports the mutton chops. He wears leather vest over a armored chestplate, maroon sleeveless synthetic fiber shirt, along with a pair of black pants and armored boots. Dorian has prosthetic right arm and eye(the prosthetic has a green colored sensor), the remaining biological eye is green. In various holsters he carries several hip flasks filled to the brim with whiskey. His prosthetic arm has an airbrushed tattoo like image of a predatory bird�s top view silhouette with assorted drops of blood. 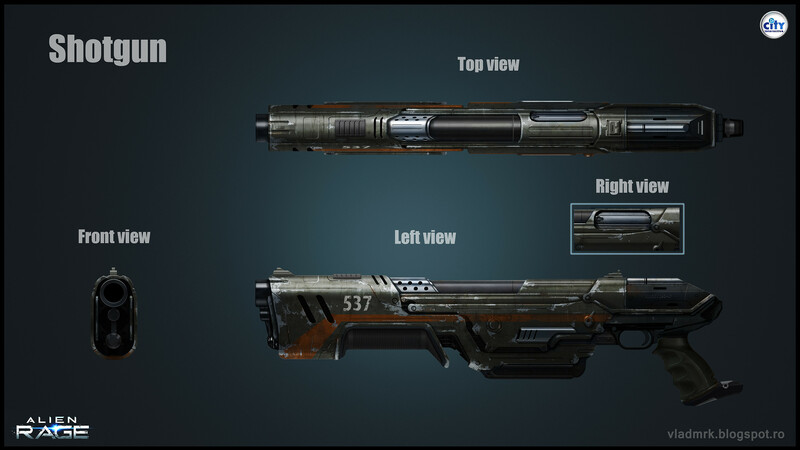 Weapons: A pair of heavy blaster pistols, a set of throwing knives, and a shotgun. Personality: A pirate in all aspects. Yet the only thing Dorian truly respects is his crewmates, and those that pay him on time and cause no bullcrap doing it. Dorian has a strict code of honor, as in he never deals in drugs or people. Anything else is fair game as he states. Dorian also is very fond of alcohol, and drinks a lot, however, he never shows any sign of intoxication from the booze. He also speaks his mind, and never sugar-coats his thoughts. Curses a lot. Can sometimes be impulsive and rather reckless. Background: A fifth generation merchant, Dorian�s entire upbringing was leading him towards being a successful space faring trader. However, things soon changed. Dorian was bored of continuously faring the same old stuff along the same old trading routes. So he and his crew began acquiring and trading items that are, as Dorian says �elusive luxury goods�. These range from works of art, exotic animals, and yes, ancient alien artefacts. At first Dorian also dabbled in the Spice trade, however, that soon lead to disasters, as several of his crew members began showing addiction to the powerful narcotics, and after one drug fuelled rage which ended in a death of another crewmate, Dorian ceased the drug trade, and quite bluntly and without ceremony, shoved the junkies in his crew out the airlock into open space. Since then Dorian has a very negative attitude towards drugs of any kind. He focused his business onto acquiring rare minerals, and alien artefacts. As soon as Dorian began to trade in these commodities, it attracted the attention of the Atlas Corporation, as they paid quite handsomely for the acquisition of alien treasures. This successful partnership had lasted for several years up until now. Name: Shireena, but more commonly goes by the name of Sage. Appearance: A rather short for an Aelari (around 180cm) shoulder length black hair with turquoise strands in the front. She has turquoise eyes. She wears a light armored suit and a black, studded leather jacket on top of it. Sage also wears a wrist mounted computer on her left arm, that mainly controlls a small orb shaped drone that when inactive rests on a dock on her right shoulder. This drone is primarily used as a recon tool, but is also equipped with a light, pistol grade blaster. The drone itself is a tad larger than a tennis ball. 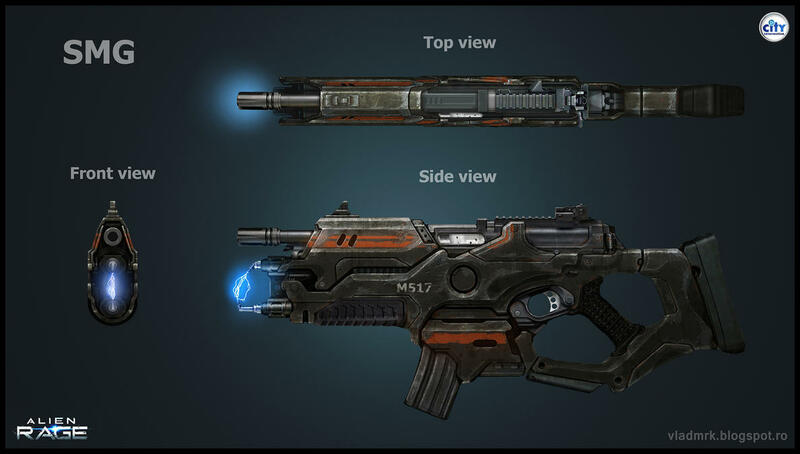 Weapons: a blaster pistol, a light rapid fire blaster rifle. Background: Dorian�s best friend and most trusted lieutenant. Sage is originaly the youngest daughter of a wealthy, high ranking Federation official, although she doesn�t talk about it much. She ran into the Bloodhawks after she ran away from home, stealing her father�s luxury pleasure ship. After she proven that she could handle herself, Dorian offered Shireena a place in the crew. And that little call of adventure was all that she needed. Edited by Neraus at 11:13, 14 Sep 2017. While I'm not really enthusiastic about the premise of mercenaries, I'll bite. Appearance: 176 cm tall with a muscular and wide body, the main color of his scales is dark sand-like, with some reddish and dark brown tones, he has two prominent spikes at the back of his head and some smaller ones between them, under them he has a set of green "hairs" braided in locks that fall on his shoulders. When not in combat he wears a short sleeved white nano-fiber shirt, a pair of black denim pants and a pair of black "boots" with holes for his talons, as well as a multi-function arm device (Think of a pip-boy from Fallout) and a pair of blue mirrored sunglasses when the occasion allows it. His body armour is white with blue stripes worn over a black nano-fiber suit. Weapons: A ceremonial bone sword, a curved knife, an heavy plasma rifle and a handgun. Personality: Brash and impulsive, he seems to not care too much about his own safety, which is most exemplified when he climbs aboard a fighter. He usually creates plans revolving all around his own skills, and usually gives them precedence over the "guidelines" he's given. He usually tries to exploit a situation to its fullest, even if it means doing something unpredictable. He has a particular fear of medics and gets iffy at the prospect of having to replace his limbs with bionic implants. Background: Jakeeus was among the most promising cadets of Nergal as in his youth he demonstrated a particular propensity to discipline and obedience, as well as an attitude of self-improvement, that led him to an harsh regimen of training. After entering the air-force he started to demonstrate bouts of self-aggrandizement, at times clashing with the orders he was given. In particular one time a dangerous maneuver during a chase of space pirates led to him crashing near their hideout. To the surprise of his comrades he survived the crash and held the position by himself by stripping naked and camouflaging with the surrounding rocks, while the operation was ultimately a success his rash actions led to unnecessary losses. As incidents like that became more frequent he was eventually expelled from the airforce. Initially he tried to get some money by fighting in clandestine rings, then as a security guard for various merchant ships. After being put off a last time he joined the Bloodhawk Corps believing it was yet another job as a security guard. Here's a first draft, to finish I'll need to know the average height and build of a Nesh and their naming conventions. Single word argonian names from TES games. there are plenty generators online, so that shouldn't be a problem. Does that include Arena? I always wanted to make a Nerandros Medoros. I'll get to work, and finish him up. nah, just from morrowind and up. I feel that the third game is what pretty much set the lore an stuff in stone. Ok, So I'll wait on a couple of more before I kick off the IC. Does the federation have a national army and if it does what is the color of their uniforms? The Federation army uses various camouflage pattern armor (depending on their deployment). The out of combat uniforms are generally light gray. Navy uniforms have a blue stripe going across the sleeves. The highest ranking Federation military officers wear white uniforms with gold accents. Might as well make one for funnzies. Appearance: Veeri stands at 156 cm with gold blonde hair down to her knees. Veeri's body has been augmented with multiple "aesthetic" bionics. She has nine large "fox" tails all covered in gold blonde fur similar to her hair. She has fox like ears on her head and her left eye is yellow with a slit pupil. Her remaining biological eye is blue. Clothing-wise she wears a large, royal blue cavalier hat loaded with an abundance of huge white feathers. She wears a loose white shirt, and over it she wears a grey officer's coat with gold buttons. The coat appears to have been cashiered at some point. On her legs she wears grey pants with a pair of black boots with large gold buckles around the ankles. Weapons: Two revolvers one that uses plasma rounds and the other physical ones. Both have a rather gawky design. She also has a sword with an electrified blade. Personality: Veeri is an incredibly vain, jaded, and cruel person. She is a stereotypical brat, is obsessed with her appearance, and has been known to blow any sum of money on her outlandish obsessions. She has little regard for the lives of others, although, she seems to enjoy handing out criminal advice. This is seems to be especially true if she knows it will be refused. Background: Veeri rarely talks about her past, though it is known that she was a previously convicted pirate and slave trader. Her lavish spending gave her away and her practices landed her a life sentence. Said sentence was only two years though when she was pardoned by a spiteful official leaving office. Having no interest in losing her new found freedom she abandoned her old imprisoned crew and decided to find a new if still illicit enterprise. Edited by Kipshasz at 11:21, 17 Sep 2017.
one or two more and I'll start the IC. Or on Monday, whichever comes first. Appearance - gray skin, about 175cm tall. wears a sleeveless black nano fiber shirt, and a beige leather vest on top, gray pants. Has various scars on him. wears green hued goggles on his forehead. Personality: likes to crack wise, is otherwise focused on piloting the cruiser, which he treats as if the vessel was his own. Background: Jeq is a former freight pilot for the Vidar Corporation, a minor small arms manufacturer. However, his rather unorthodox flying techniques got him fired from the job. He was recruited into the Bloodhawk Corps a few months later afterwards, and has been there since. Appearance, when working wears standart gray work clothes with a tool belt and a servo harness with 4 extra limbs with built in automated wrench, a plasma cutter, welder and general purpose grabber arm. Sometimes dons a Federal military standart issue gray cap with the engineering corps insignia. Weapons: a wrist mounted blaster as a primary weapon. The servo harness can be used as a weapon as well. Personality: no nonsense attitude when it comes to her work, and pretty much anything else. Takes a lot of pride in what she does. A rather cold disposition towards everyone. Background: one of the senior members of the crew, Tormidal had served Dorian's father prior. in her Youth before her career on the Black Pearl she served in the Federation's military, in it's Engineering Corps. Crossroads scenario: right corridor leads to an armory, the left one leads to a chamber full of stasis pods, of which only one is intact.